Balance is (almost literally) at the centre of this knife!, its a Mike Stewart piece of art, that blends into the hand and has tremendous 'feel', its responsive and lithe and therefore makes for a superb user friendly tool. The recurve CPM 154 blade is exceptional and both tough and fine edged, and at 60HRC it also offers excellent edge holding. The blade dips, false ground to a very controllable point and the whole knife has an excellent feel and weight. 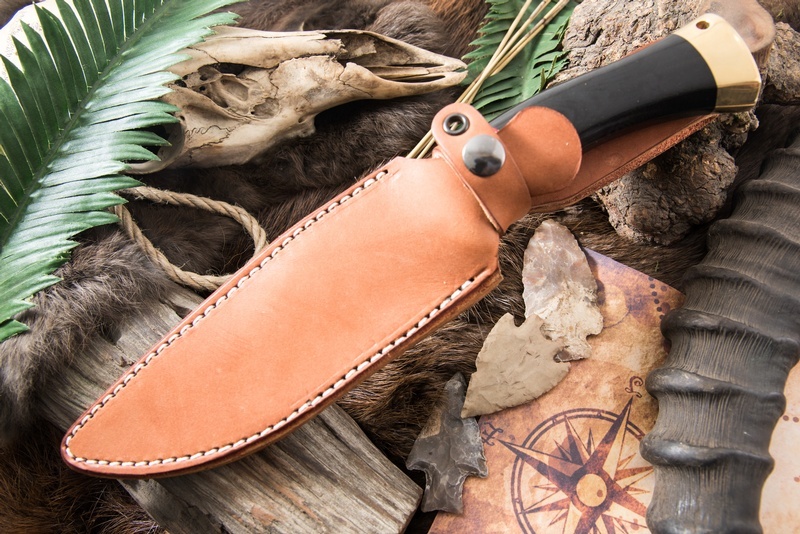 A unique and high quality outdoor knife, made with the highest end materials! Purchase through PayPal by using the "Add To Cart" button above or use the form below to order the Barkriver Marauder CPM 154 Green Canvas Micarta . 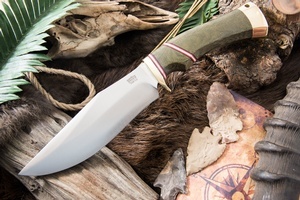 Feel free to contact us if you have any questions about the Barkriver Marauder CPM 154 Green Canvas Micarta .